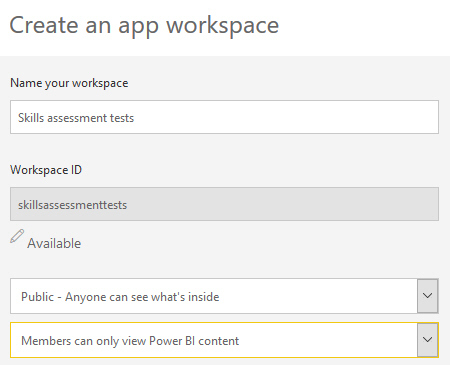 Create a workspace in Power BI Service. 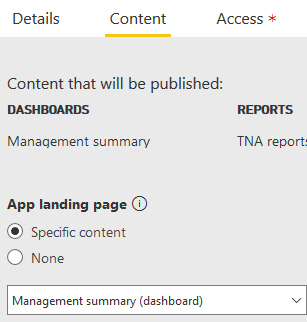 Create reports in Power BI Desktop, and publish them. Create any dashboards in your workspace. Publish your workspace as an app. Choose to share the app. These steps are shown under separate headings below. 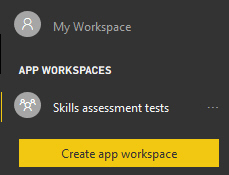 My separate blog on app workspaces contains more detail on the subject, should you find these steps a bit sketchy. The first thing to do is to create an app workspace, so that you have somewhere to publish to. 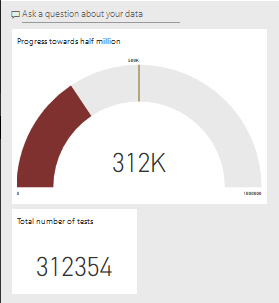 To do this, go to Power BI Service and create a new account or log in to your existing one. Click on Workspaces to list them! 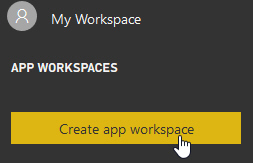 Click on this button to create a new app workspace. 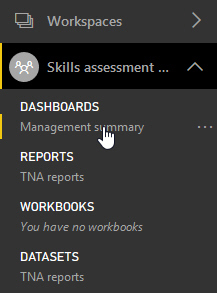 Here I've said anyone can view my reports, but nobody can edit them. I'll be publishing reports to this workspace, so that I can later publish it. My report contains two pages and uses a dataset containing a single table, but obviously yours could be much more complicated than this. 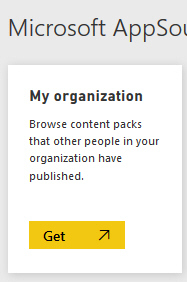 The Publish icon is on the HOME tab of the Power BI Desktop ribbon. 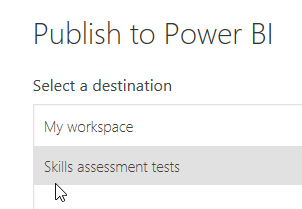 You'll obviously have to be signed in to the same account as you used for Power BI Service. You may need to press F5 to refresh your browser to see this. 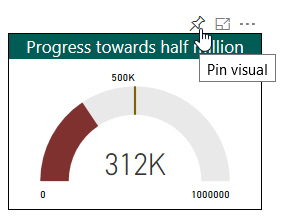 You can pin visuals to a dashboard like this. 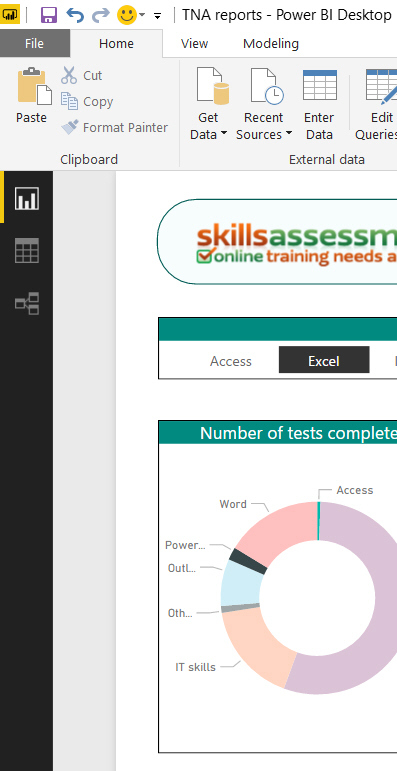 If you're not sure how to create tiles and dashboards, see this separate blog. 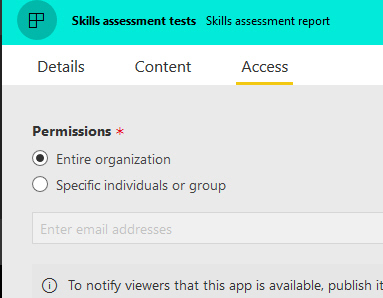 Click on the app workspace to select it. 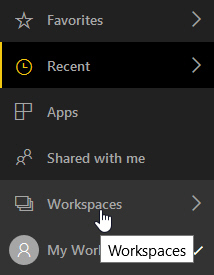 Click on this button at the top right of the Power BI Service window. I've chosen to share the app with everyone in Wise Owl. 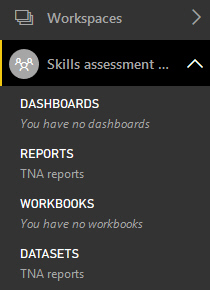 This app has 1 dashboard, 1 report, 0 workbooks and 1 dataset. Click on this button to proceed with publication. You can now share your app! 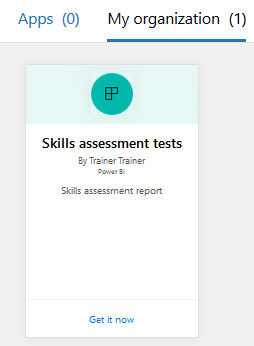 In Power BI Service, you can click on this icon to get an app someone has created within your organisation. Choose to get apps ... ... then choose your app. 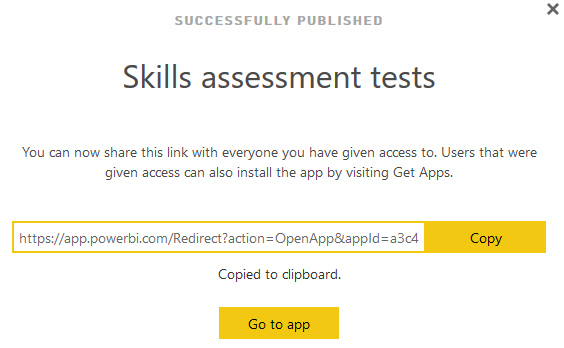 You'll need to subscribe to Power BI Pro (or possibly Power BI Premium) to view the contents of any app. 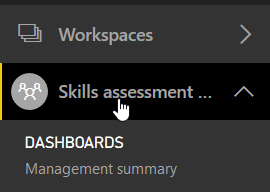 Having looked at the main way to share content in Power BI, I'll now go on to look at the other methods - beginning with sharing a dashboard.